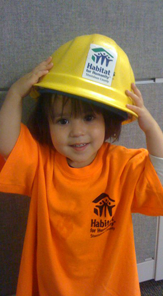 Habitat for Humanity International is a Christian housing ministry founded in 1976, connecting people from all faiths and walks of life, to work in partnership with families in need, and to help eliminate poverty housing in our community and worldwide. Habitat for Humanity, Stanislaus is an affiliate and is an autonomous, non-profit corporation with its own board of directors and committee structure founded in 1989. One of the founders Ruth Sesser was so dedicated to affordable housing and convinced Habitat constructed sustainable homes, that she built her home right in the middle of one of our subdivisions. Habitat symbolizes what can be done when a community comes together bringing hope, changing lives, and making a real difference in our community.